In the Phou Khao Mountains of southern Laos lie the ancient ruins of Wat Phu, a Hindu temple of Khmer origins. Among the temple remains is a boulder with a very curious carving. The deep impression in the stone vaguely resembles a crocodile, but it could also easily accommodate a human body. 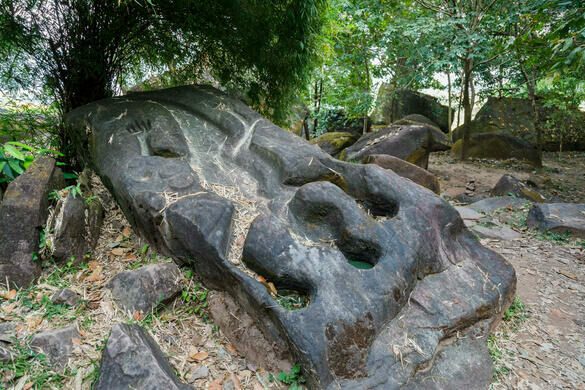 It has been speculated that this stone may have been used as an altar to perform an annual human sacrifice in pre-Angkhor times. 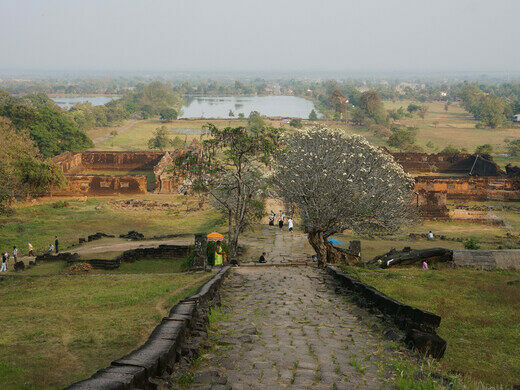 While most of the ruins of Wat Phu date to between the 11th century and 13th century, there is archaeological evidence that a temple existed at the site as early as the 5th century. If human sacrifices were performed, they would date back to these earlier times, when southern Laos was ruled by the Chenla Empire. Oral tradition has it that once a year, when the frangipani petals started falling, the Chenla king would sit on the main causeway of Wat Phu. The king would pray to the spirits of the mountains and offer rice wine to two girls selected for their beauty. The girls would then be sacrificed to propitiate the gods’ favors for the coming year. To corroborate the veracity of this story, there is mention in the 6th-century History of the Sui that human sacrifice was performed annually in the Chenla culture, and the description of the ceremony matches the version in the local folklore. It may simply be a retelling of the description in the ancient text, but the fact that rural communities retained that specific tale through the centuries is significant. What is not known, however, is the role the Crocodile Rock played in this ceremony, if any. The uniqueness of carving makes it even more mysterious. Over the whole of Laos and Cambodia, nothing even remotely resembling the Crocodile Stone can be found in ruins from before, during, or after the Chenla Empire. Curiouser still, crocodiles did (and still do) exist in the area, but they didn’t have a religious significance. 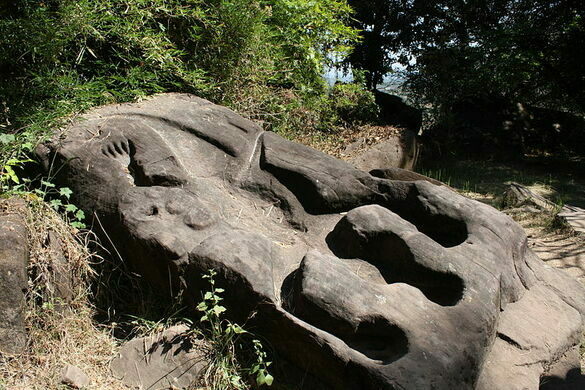 If the Crocodile Stone was not used for human sacrifice, the mystery remains: What was it for? 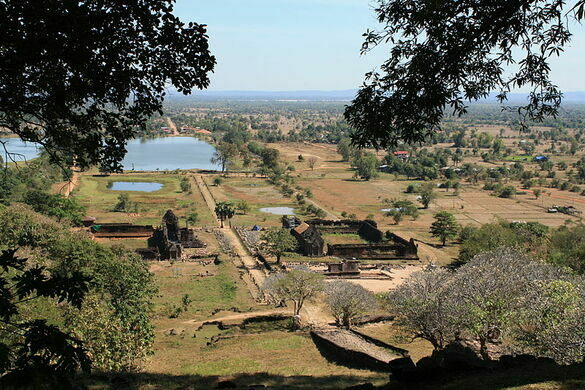 Wat Phou is about 6 miles (10 km) southwest of Champasak, the main town in the area. There is a museum at the archeological site, open daily from 6 a.m. to 6 p.m.